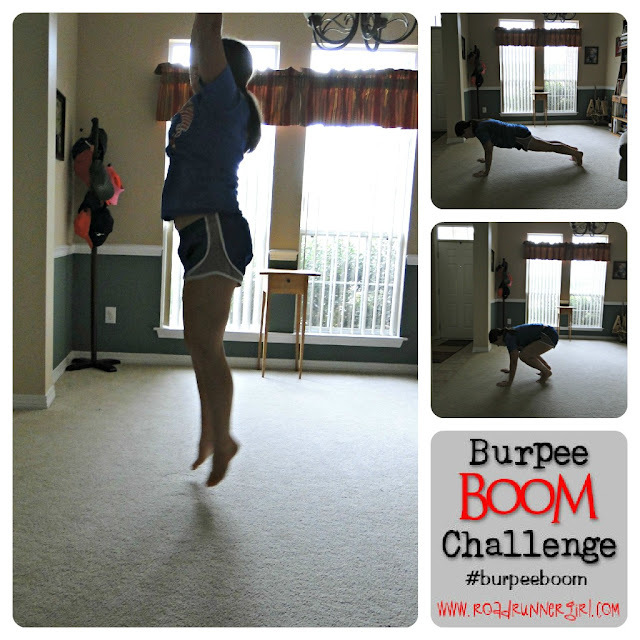 Road Runner Girl: Burpee Boom Challenge Comes to An End! I've enjoyed getting all of your calendars and seeing all the burpees you did!!! 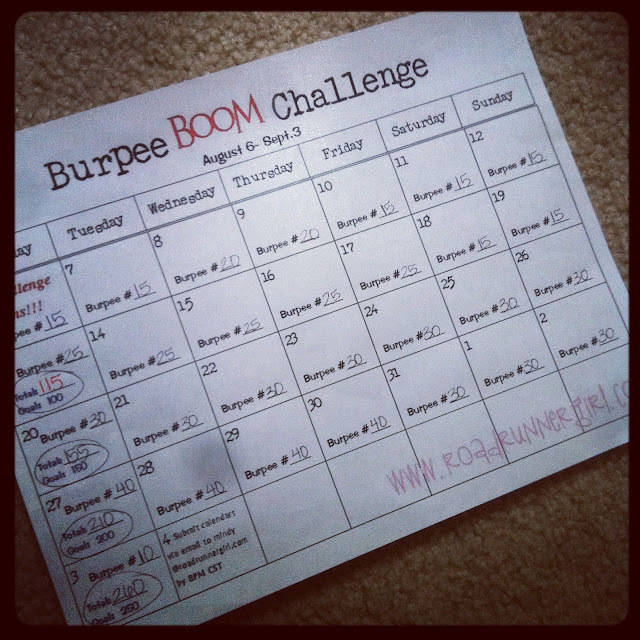 So proud of everyone that participated in my Burpee Boom Challenge!!! Ok I know you are ready for the winners! There are two prizes up for grabs: the Nathan Triangle Hydration Pak and the "Yay Burpees" Sox from The Sox Box. The winners were picked via random drawing by my sweet hubby! Congratulations Ashley from My Life With Weight Loss and Christine Lesmerises!!!! Please email mindy@roadrunnergirl.com with your mailing address so I can get those prizes out to you!!! QOTD: What's your most hated exercise move? Don't forget to enter my Armpocket Giveaway!! !